As day breaks the cottages come into view. This is Travaasa Hana. A very unique Hawaii resort. 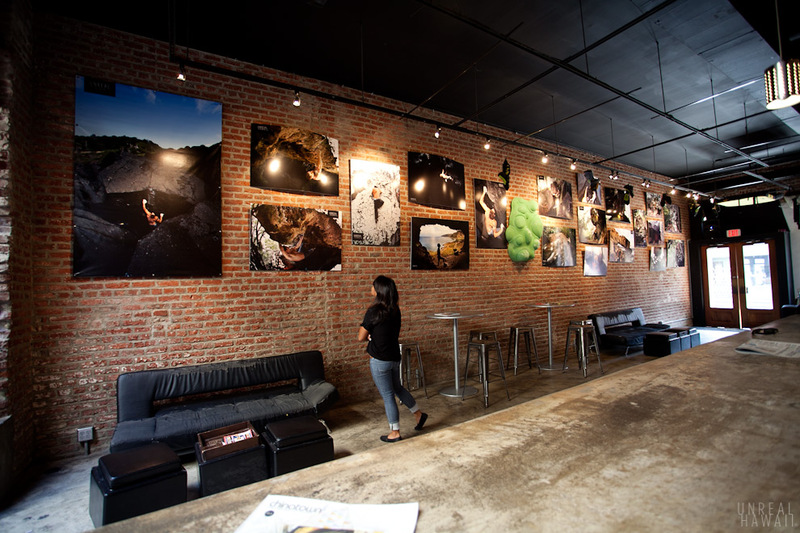 The location of this place is kind of ridiculous. Hana is a small town in East Maui. It takes about two hours of driving on a windy road to get here from the airport in Kahului. 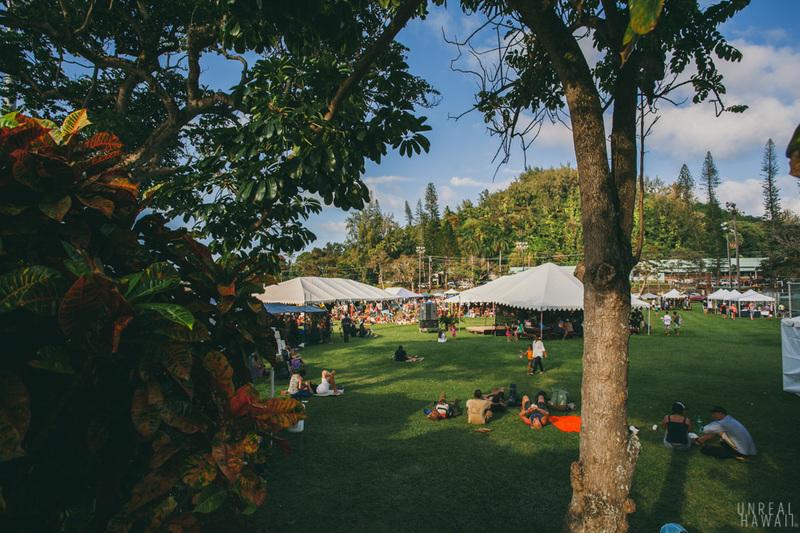 Once you get to Hana you can feel the pace of life slow down and everything feels peaceful. 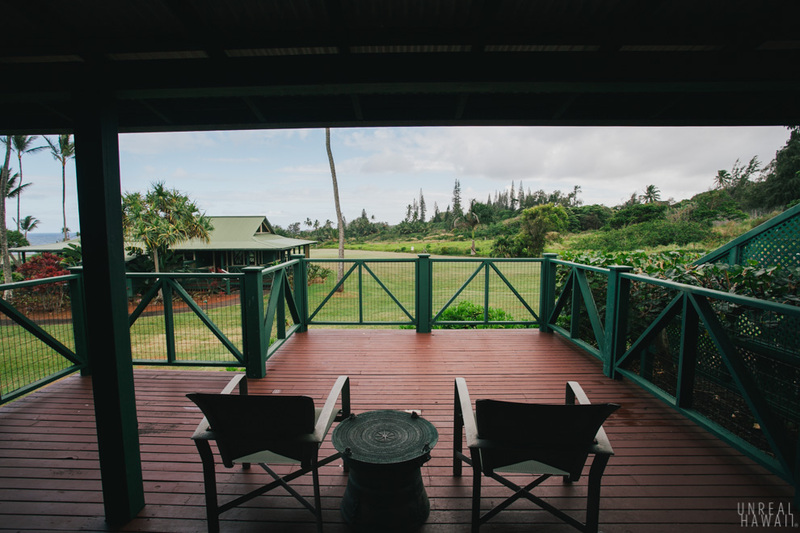 I was invited to stay at Travaasa Hana recently as part of a press trip for the East Maui Taro Festival. 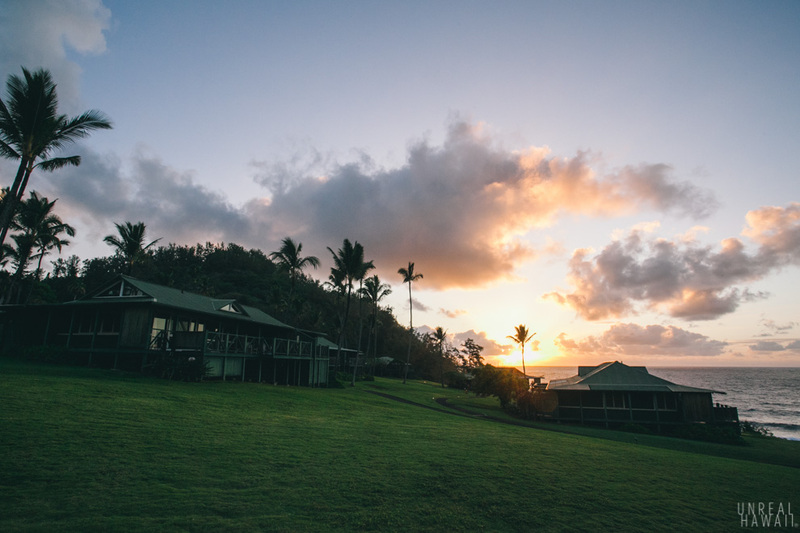 We stayed for four nights and as remote and slow-paced as Hana is I could definitely have stayed for a couple more. 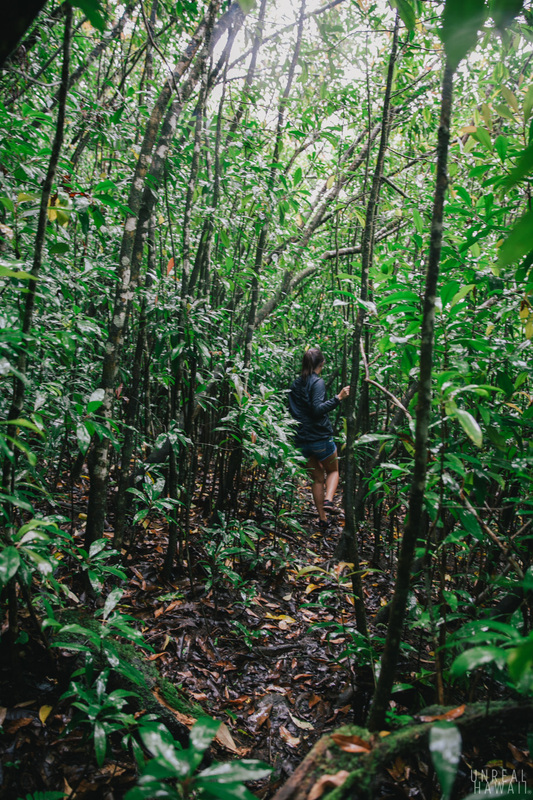 Hana may seem slow and small but if you like the outdoors, there’s a ton of stuff to do. 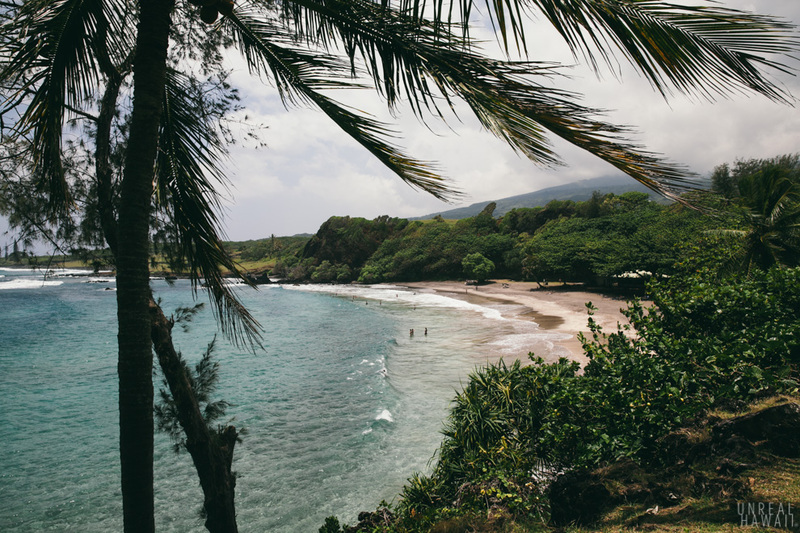 To get to Hana you’ll drive the “Road to Hana.” That’s the name for the 52 mile stretch of the Hana Highway that’s carved into the east Maui coastline. It’s a two to three hour drive, depending on how many stops you make and how fast you drive. 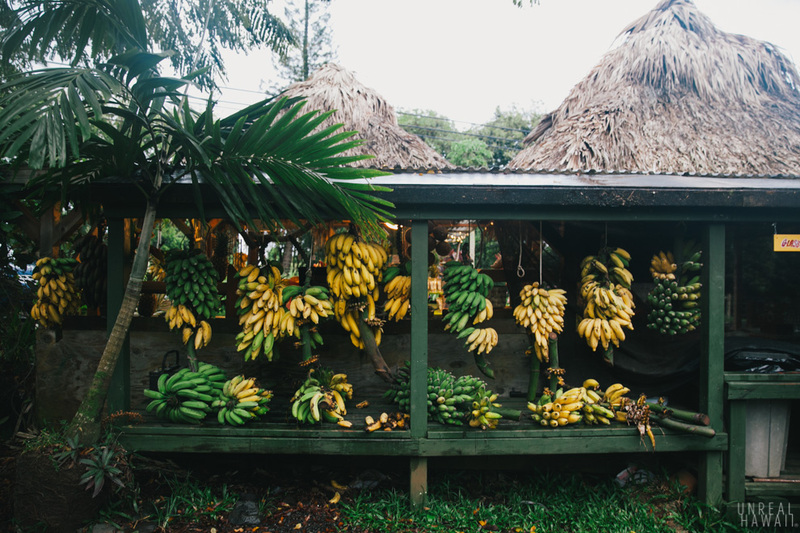 A lot of tourists spend a day driving the Road to Hana making several stops along the way to look at waterfalls or ocean views. 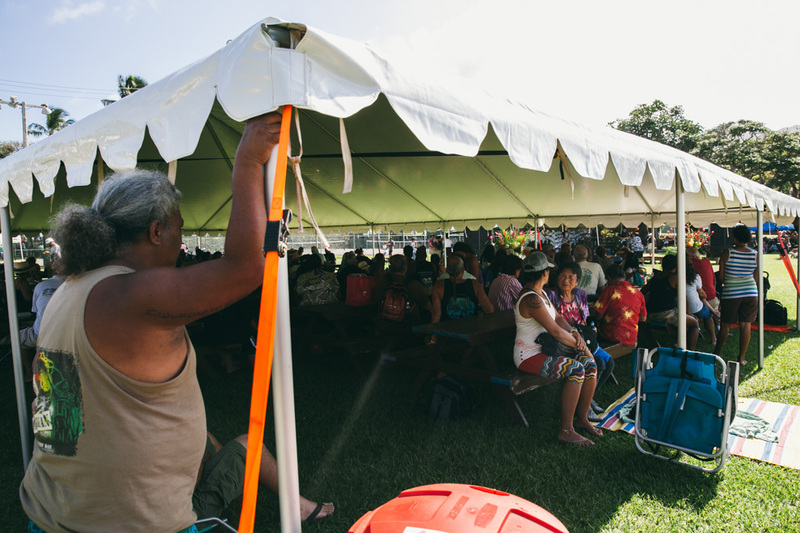 They might drive the highway all the way down to Kipahulu where the Ohe’o Gulch and Pipiwai Trail are located. Then they might turn around and drive home. 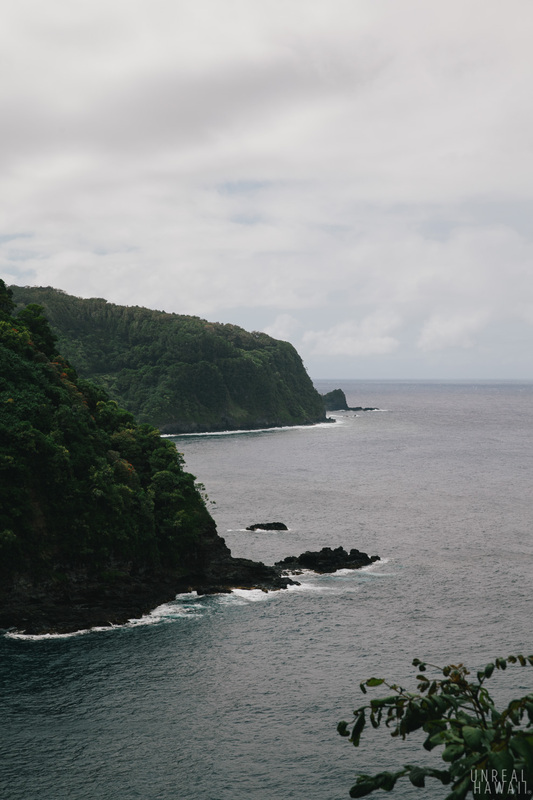 But if you’re going to drive all that way, I’d recommend spending at least a couple nights in Hana to soak it all in. 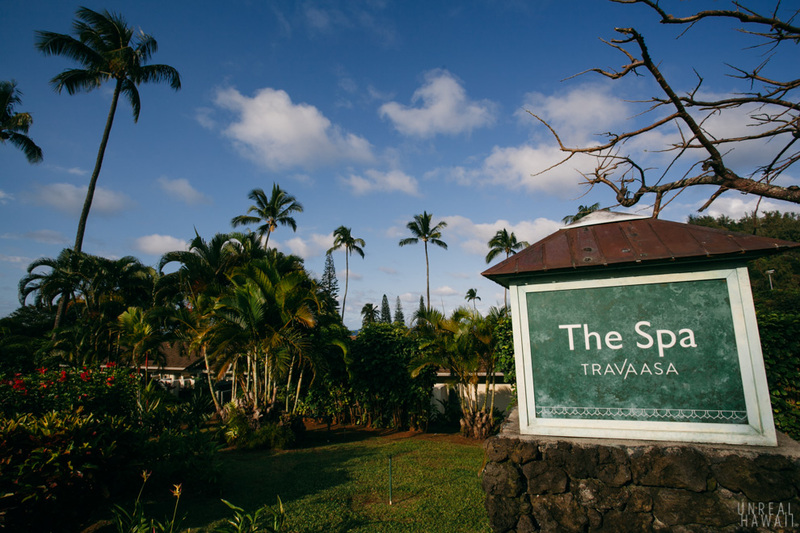 And if you’re going to stay a couple nights in Hana, I can tell you that Travaasa Hana is a very nice choice. I should mention one thing though. Being that I was on a press trip, my room and board were comped by Travaasa. 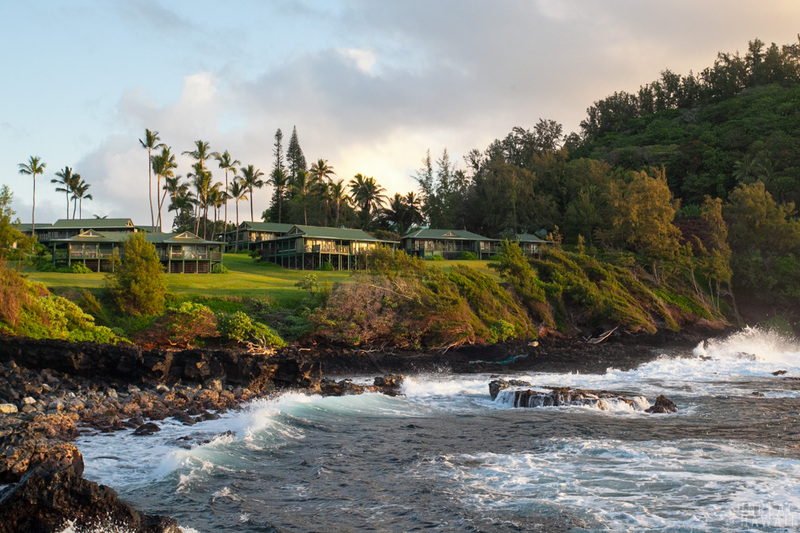 If you’re on a budget, there are definitely other places to stay in Hana. You’ll just have to do some research to find the one that suits you. 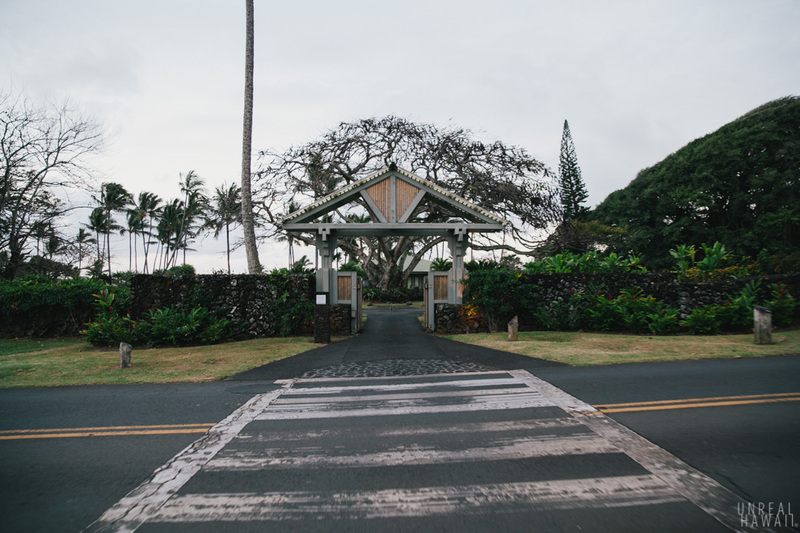 If you do decide to stay at Travaasa Hana, my recommendation would be to drive straight to the hotel without making many stops. 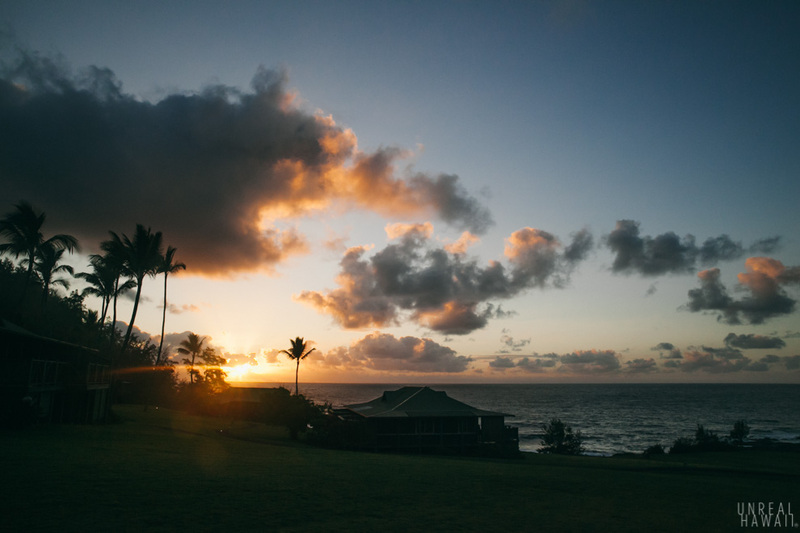 In my opinion the 52 mile drive from OGG (the airport in Kahului) is more pleasant when you don’t make all those stops. I actually like driving through the twists and turns but I’m sure some people prefer stopping to take breaks. 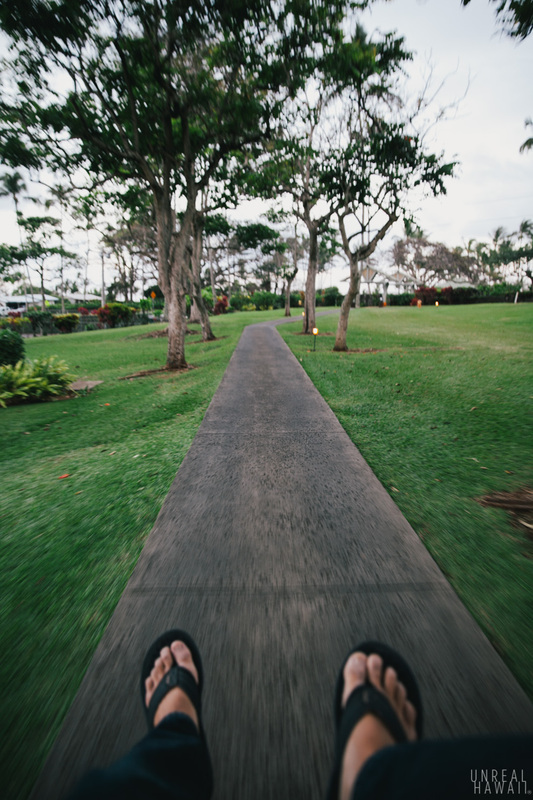 My advice though would be to get to the hotel as fast as you can so you can enjoy the grounds as soon as possible. 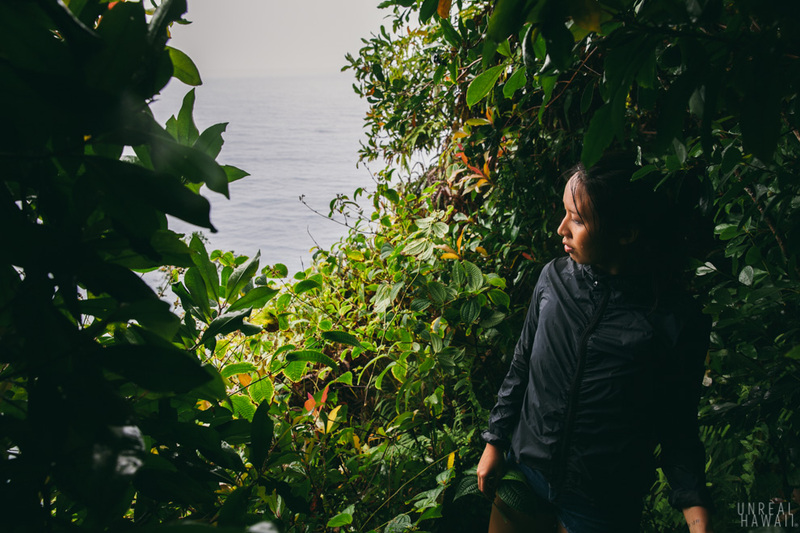 But, when you leave Hana, give yourself an extra hour or so to stop by all the waterfalls and lookouts along the Hana Highway on the way out. Travaasa Hana is much different than any resort I’ve seen or stayed at in Hawaii. It’s quiet, spread out and feels very private. 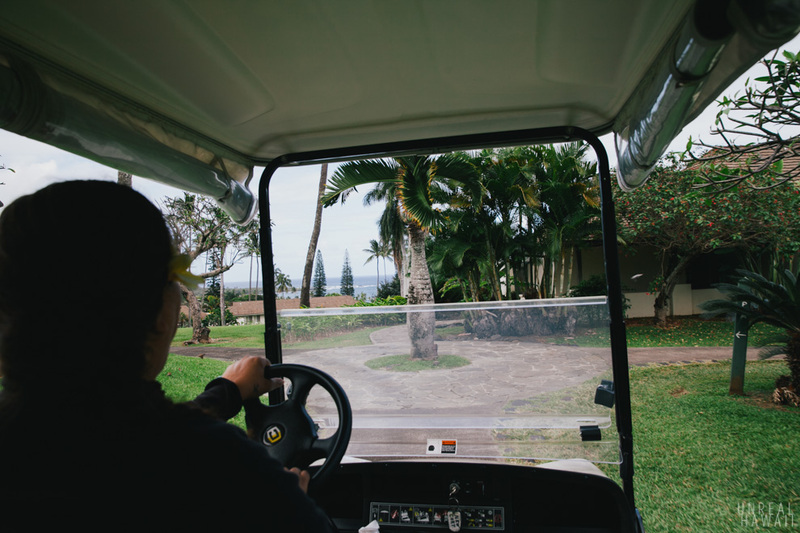 The grounds are so spread out that the staff uses golf carts to get around. After you check in they’ll shuttle you and your bags to your suite or cottage. They don’t have traditional rooms at this hotel. We were provided an ocean view cottage. They call them “Sea Ranch Cottages” and they are located behind this gate. If you are traveling without kids, stay in a cottage. Children under 16 are thankfully not allowed in this section of the hotel. Each one of these structures is divided in two and they have ocean views. 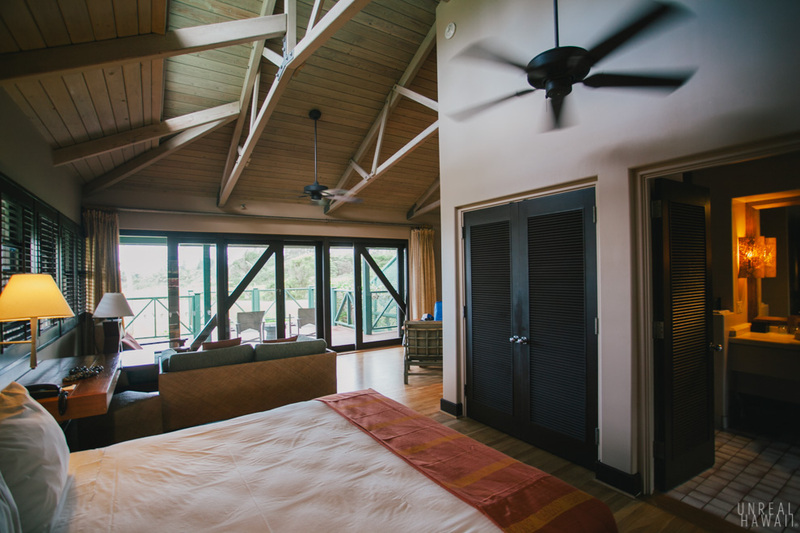 The cottages give you as much of a secluded feeling as you’re gonna get while having the convenience of a hotel. Each cottage is a suite with a country feel. All I could think of was how quiet it was. 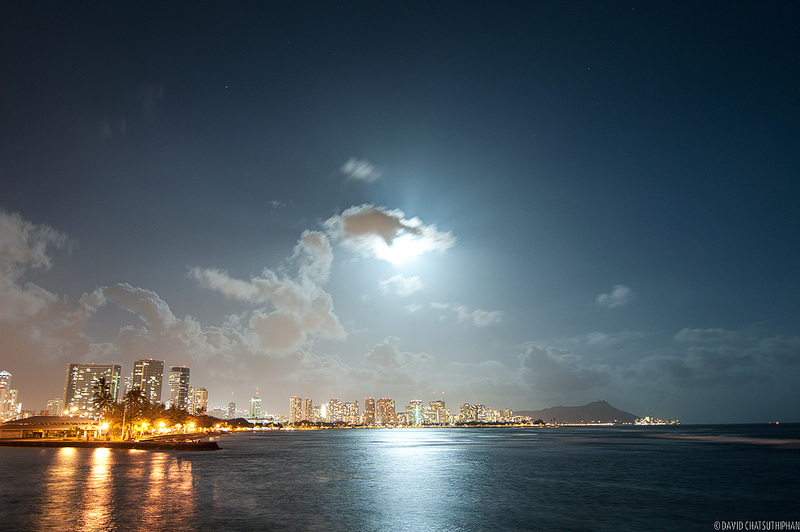 I live right next to Waikiki and hear construction during the day and sirens and crazy people yelling at night. 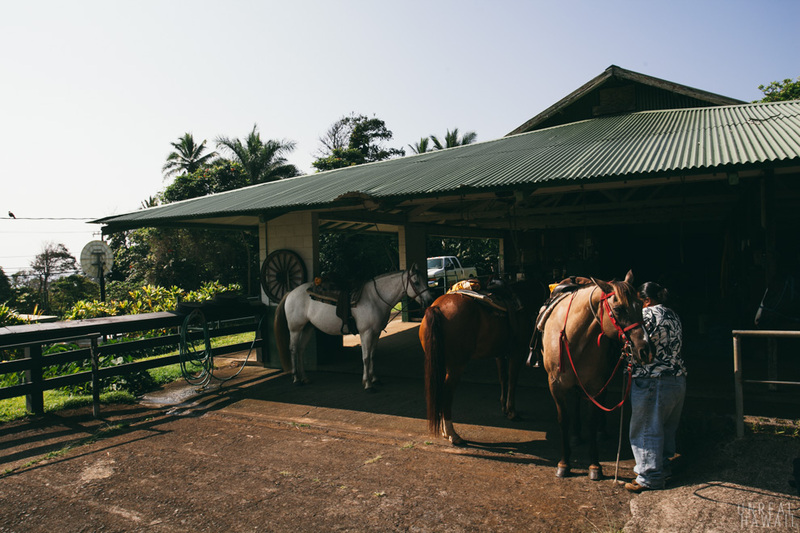 Here in Hana, even though I was in a hotel, all I could hear was birds chirping and a horse making horse noises. 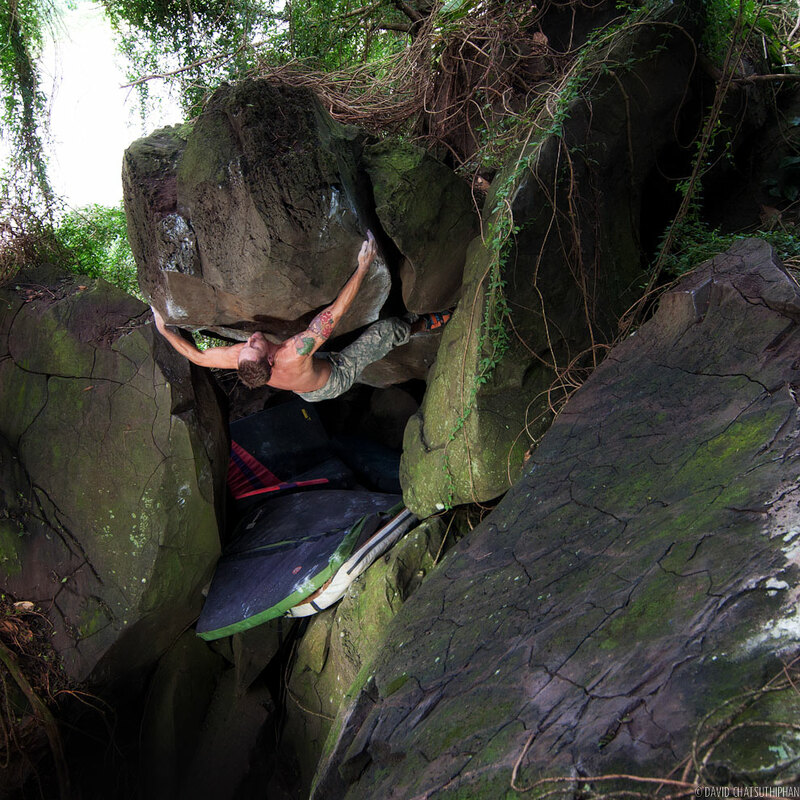 Please note that this type of accommodation is probably not for everyone. There’s no TV, no Internet and no clock in the room. (So you’ll just have to use your iPhone for all that.) 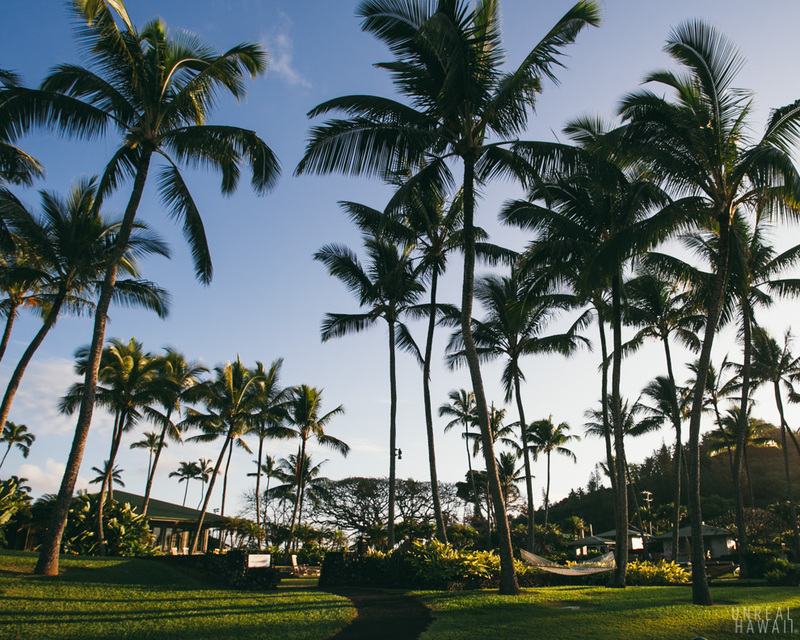 Many tourists are better off staying in Lahaina or Wailea with the masses in Maui. 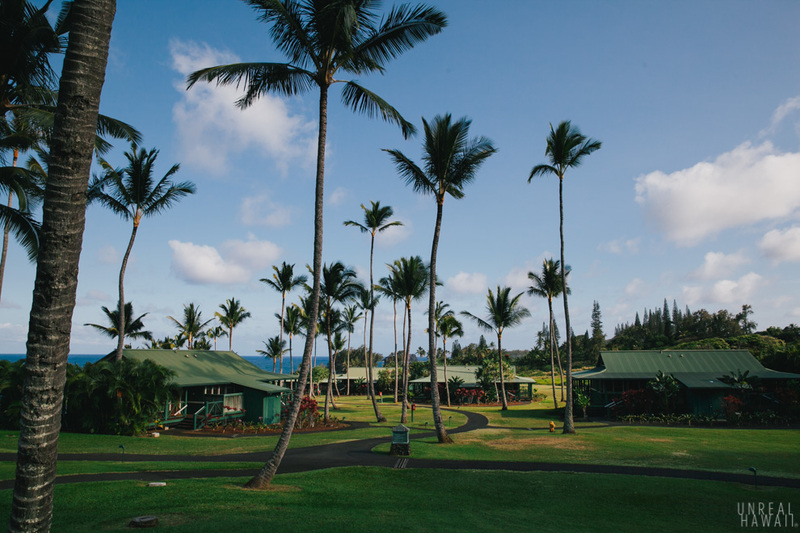 But if you’re the outdoorsy type that enjoys the peace and quiet of camping but wants to treat yourself to the convenience of a hotel, you’ll probably enjoy this place as much as I did. The lanai is huge. Some of them (not ours though) even have private jacuzzis built into them. 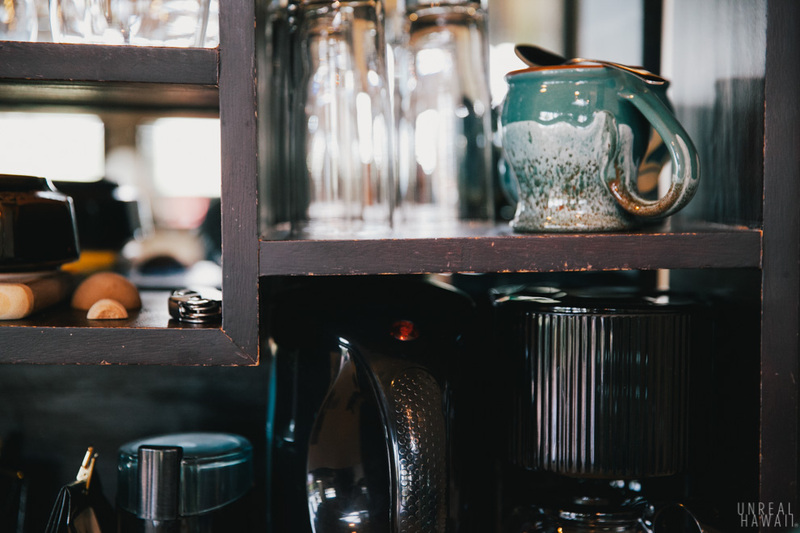 Each suite has coffee, tea and a fridge. Hasegawa General Store is a 3 minute walk from the hotel if you want to pick up some beers and snacks for the room. 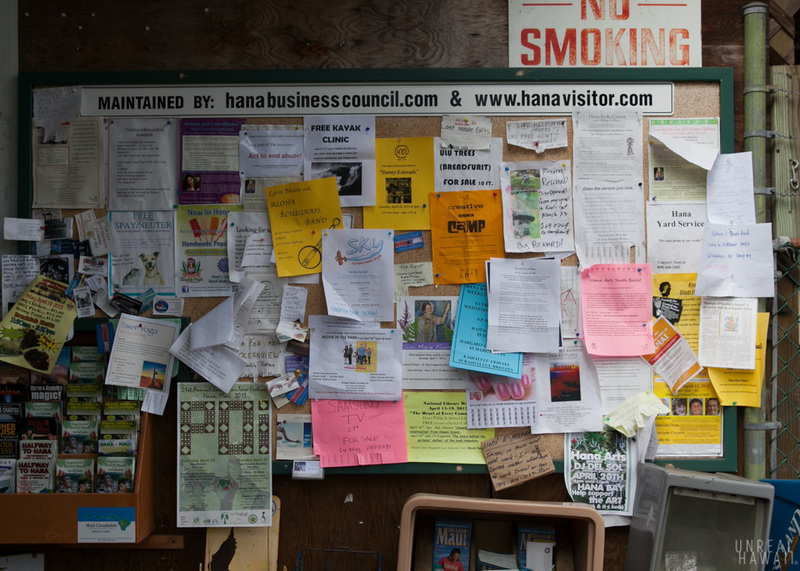 I like to check out these community bulletin boards to see what’s going on around town. 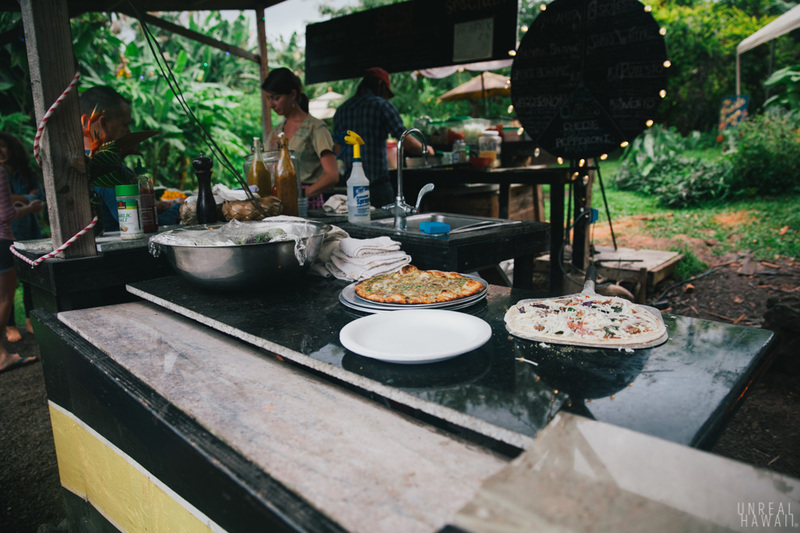 There are a few dining options in Hana but for the most part we ate at the Travaasa Hana restaurant. On the first night we had a big dinner with all the press folks on the trip. 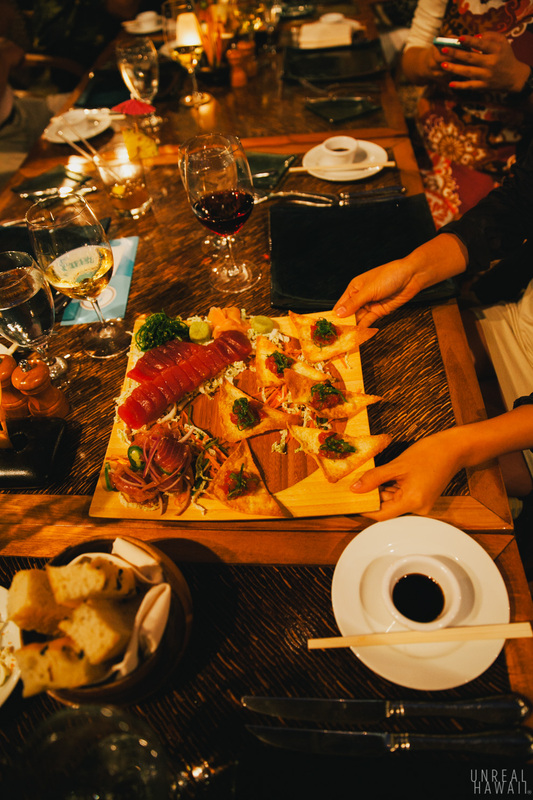 The menu changes frequently and there are both healthy and decadent options. Travaasa hotels seem to emphasize health and wellness so they list calorie counts next to each of their menu items. I didn’t think the calorie counts would affect my decisions but they totally did. 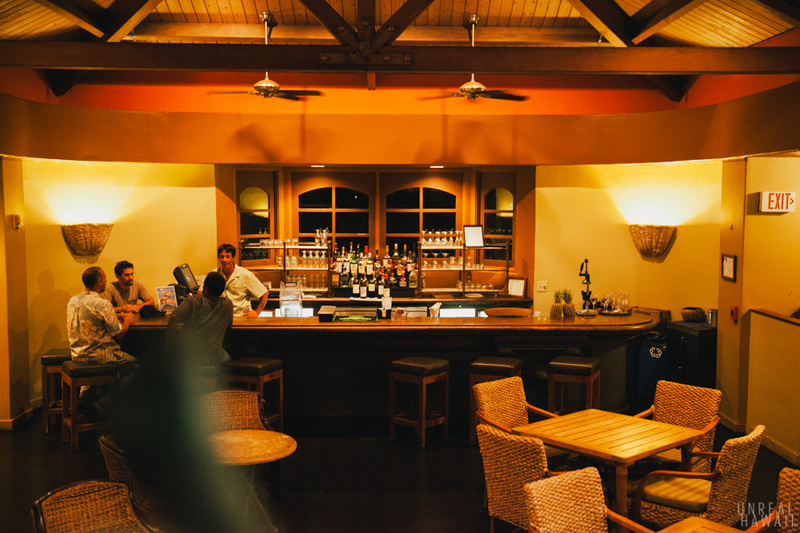 The hotel also has a nice bar so if you’re out here in Hana camping you can always pop in to grab drinks and pupus. 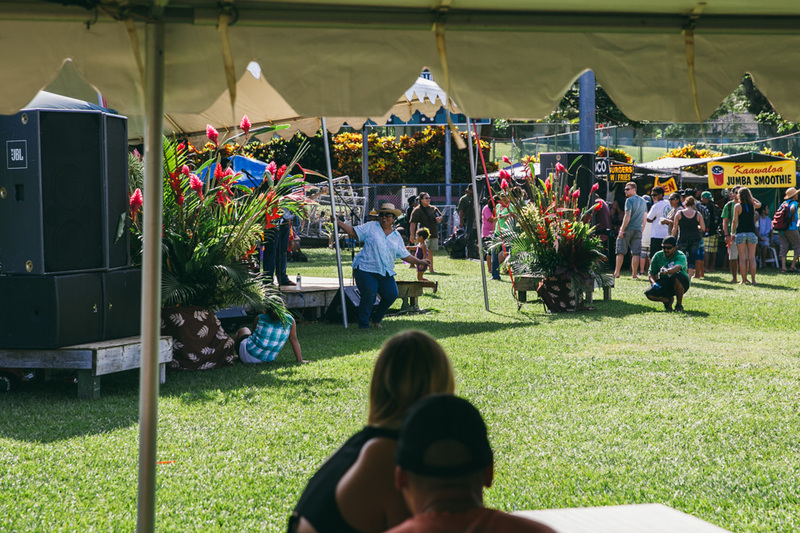 I was invited to Hana for the 21st annual East Maui Taro Festival. 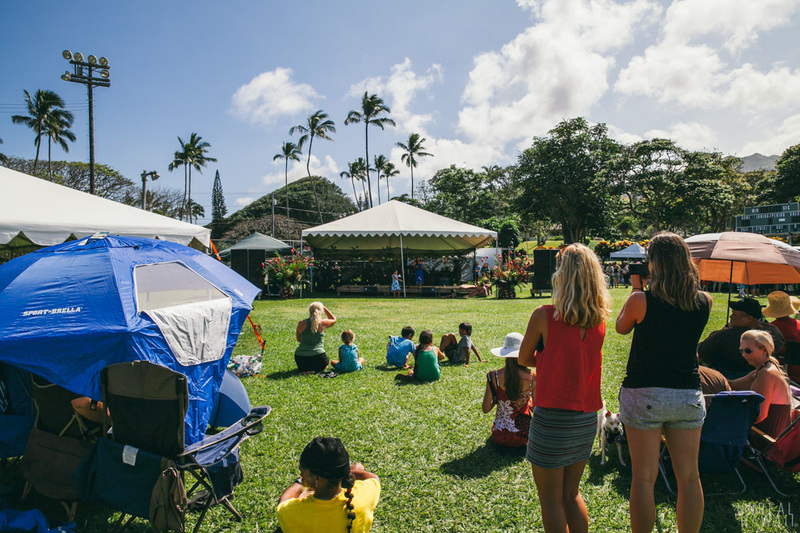 People come from all over Maui to this free festival. A big draw is the live music (with lots of awesome bluegrass). 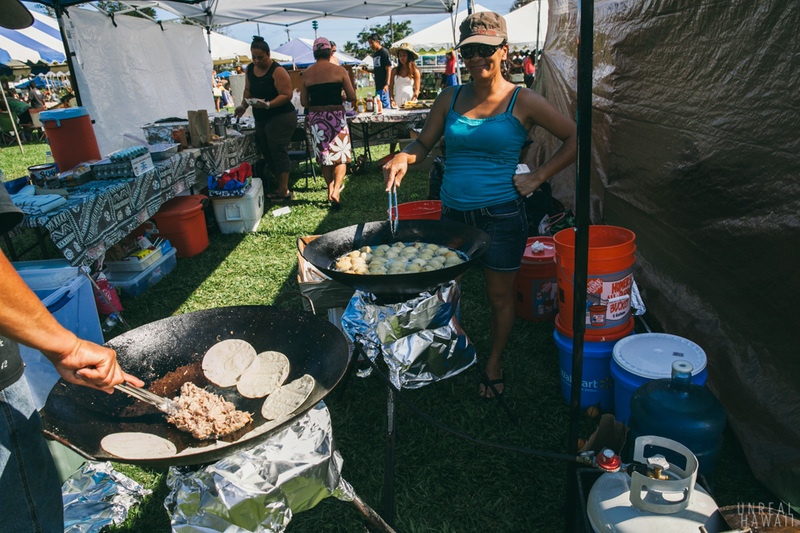 You can get great local food with an emphasis on taro from a number of food stands. 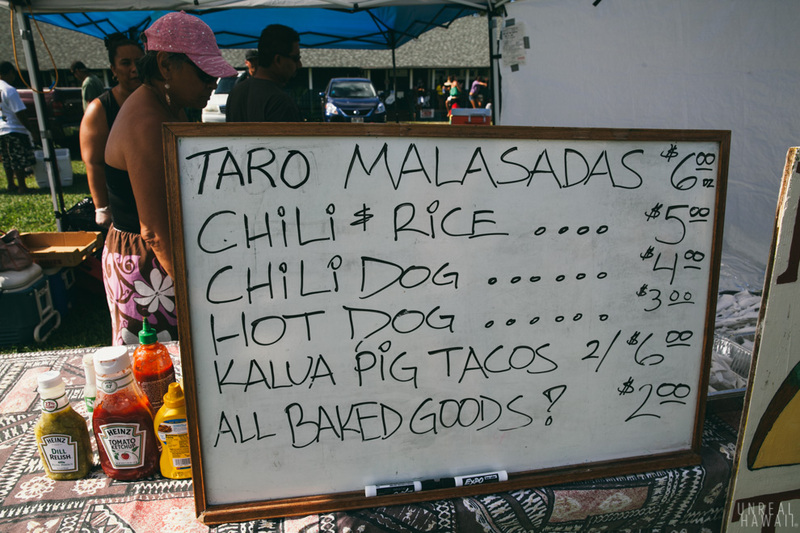 We ordered some Kalua pork tacos and taro malasadas. Both of which are being cooked in the photo above. 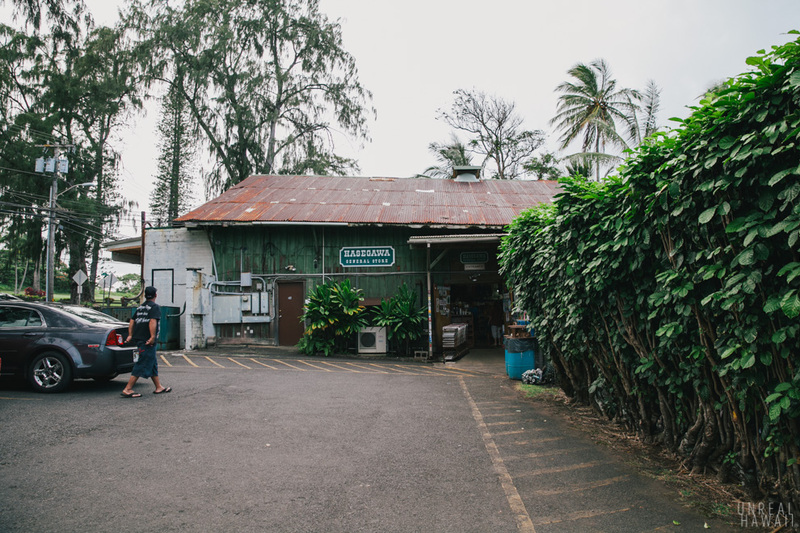 If you want malasadas you better order them early. They are in high demand. I had to wait 15 minutes for mine. 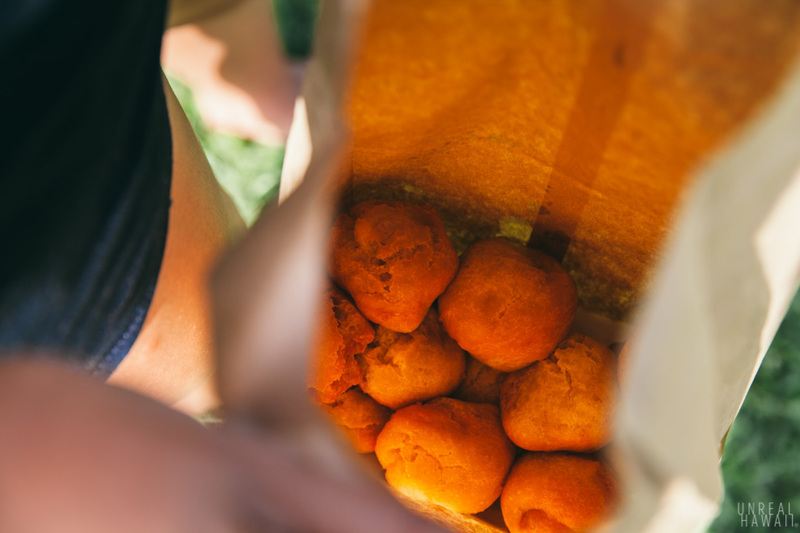 Inside there were these little balls of goodness. 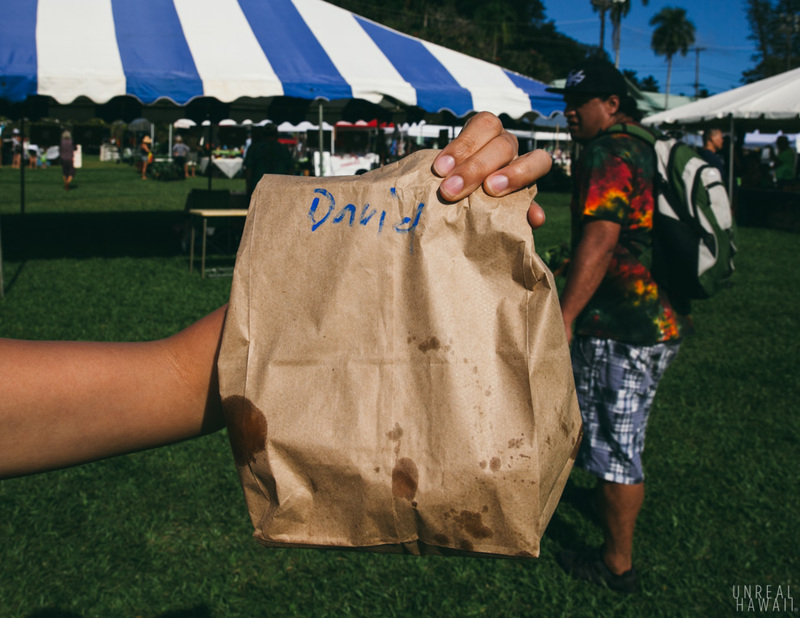 There’s sugar at the bottom so you can shake the bag to coat the malasadas. 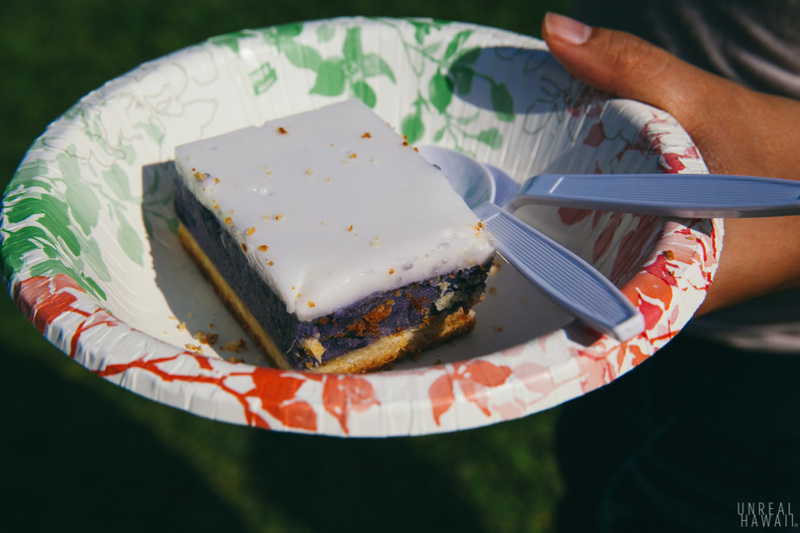 This little taro haupia (haupia is a coconut pudding) pie was a big winner. A winner in my belly. There’s seating all over the place where you can eat your food and listen to the bands. Hana’s got a real country vibe. Just imagine live blue grass coming from the speakers. 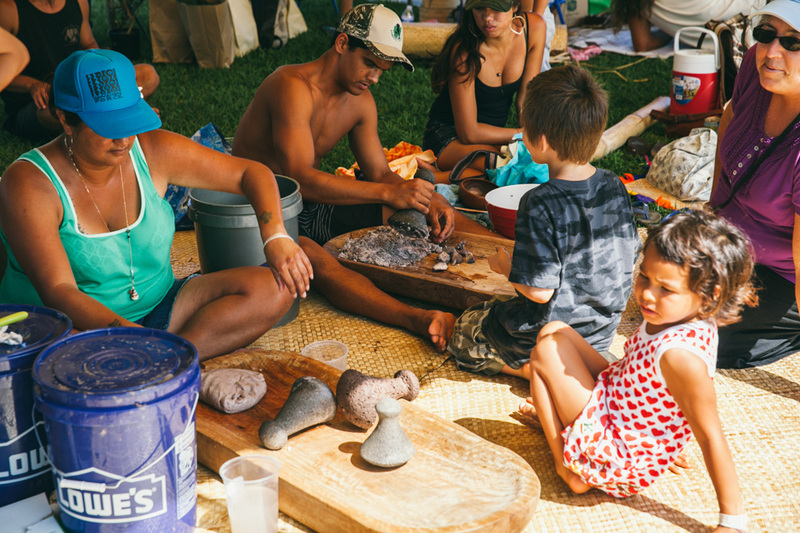 This being a taro festival, there was of course poi pounding on display. 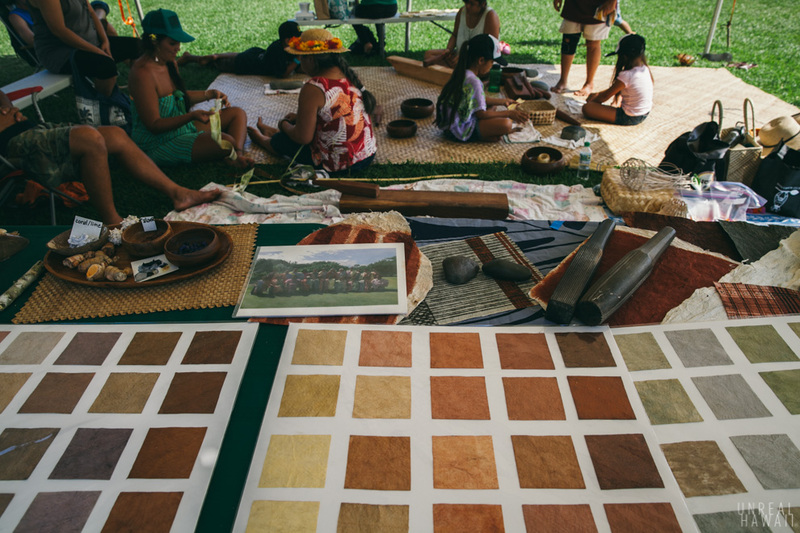 Kapa cloth making was also on display. Cute dogs were everywhere as well. After the taro festival we retreated to the hotel and plopped on a hammock to rest from all the good eating. Travaasa Hana is super relaxing. 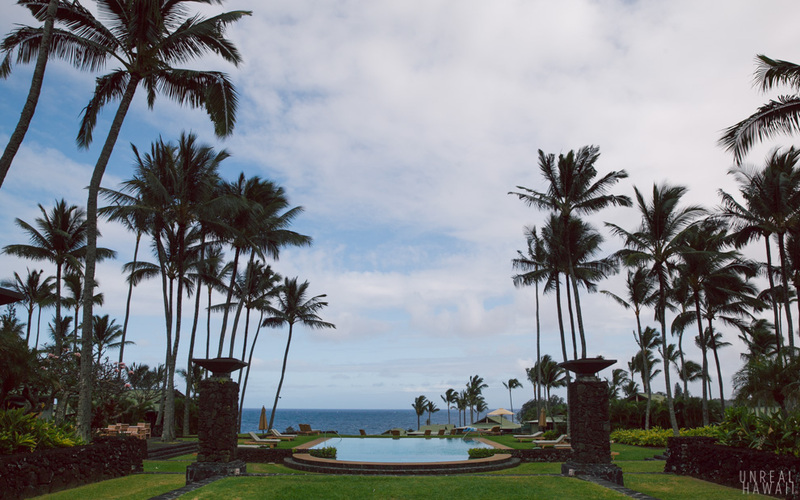 I had a busy month prior to this trip and I would have seriously been content staying on the grounds staring at the the ocean and palm trees all day. 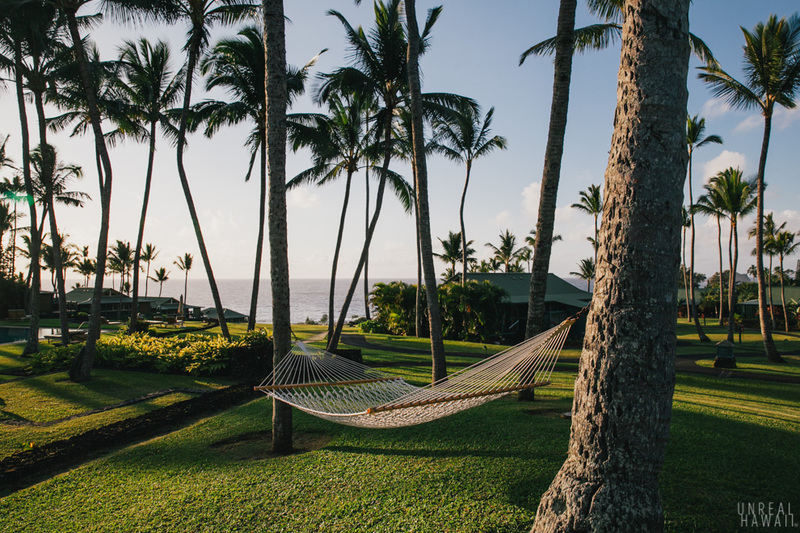 But don’t get stuck on the hammock for too long. 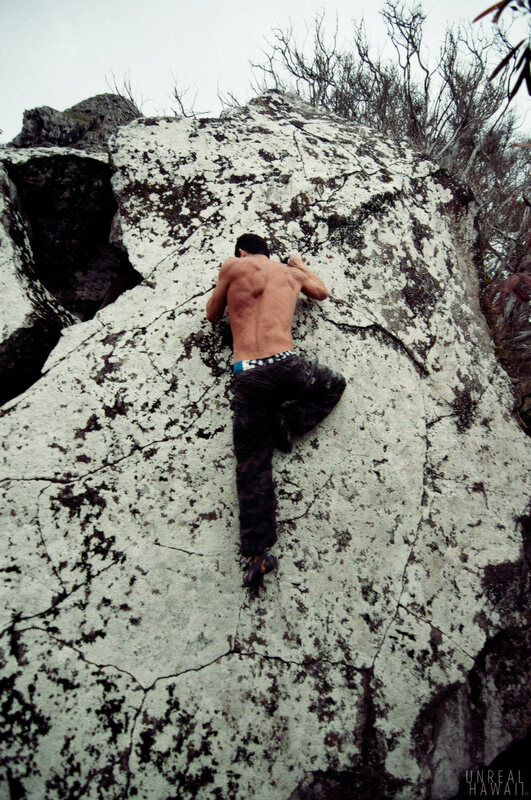 Once you’re rested be sure to venture off and see what’s around you. There are plenty of hikes around this area. You can get some nice ocean views. Scattered showers are common here so bring a rain jacket. One must-do hike is the Pipiwai Trail to Waimoku Falls. 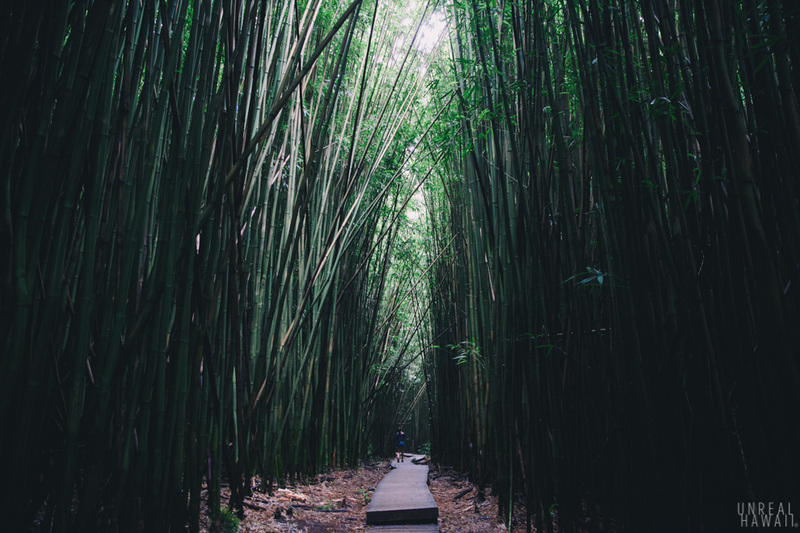 It takes you through the iconic bamboo forest that you may have seen in photos online or in guidebooks. There’s also the rocky coastline you can explore. 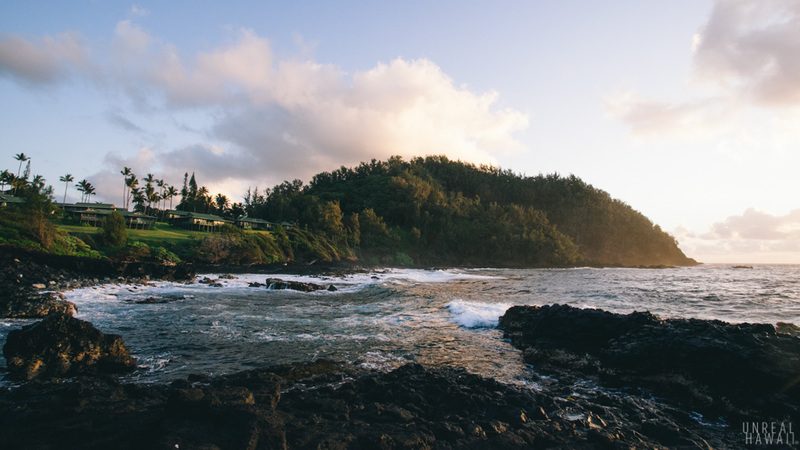 Wai’napanapa State Park is definitely worth a visit. 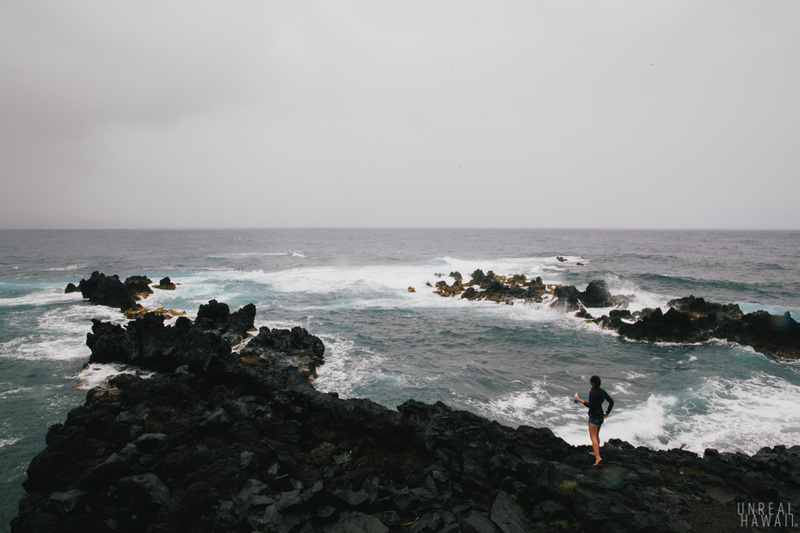 It’s less than 10 minutes up the road from Travaasa Hana. 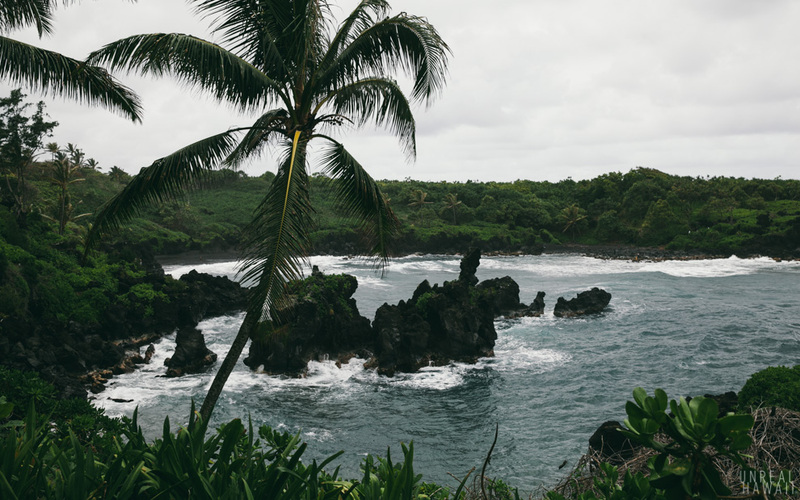 You can spend a few hours exploring the coastline, swimming at the black sand beach, and checking out the lava tubes and small sea caves. This would also be a nice place to eat a sandwich. 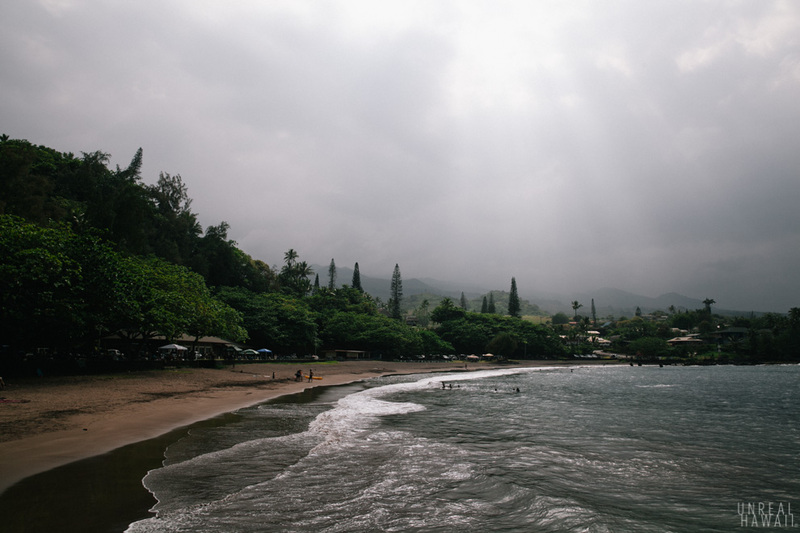 Just a one minute drive from the hotel is Hana Bay Beach. It’s a simple beach that’s easy to get to. 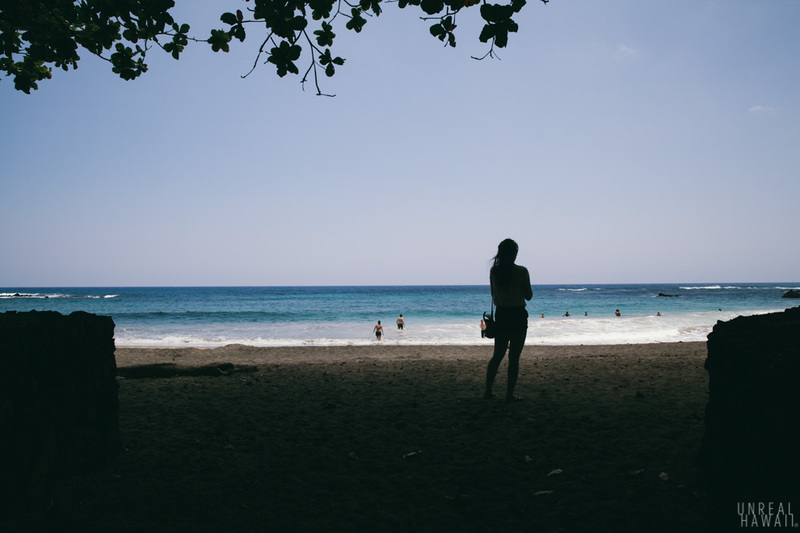 But the beach I’d recommend is Hamoa Beach. It’s a short, maybe 10 minute, drive South from the hotel. There’s beautiful sand and clear water here. When we were there, there was a fun little shore break you could body surf. This beach also seemed like a nice place to eat a sandwich. 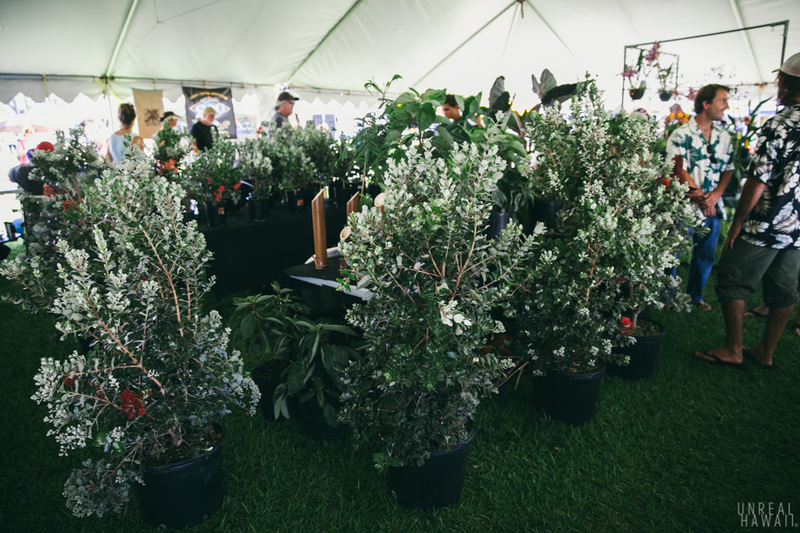 Travaasa Hana also has many organized activities you can do. 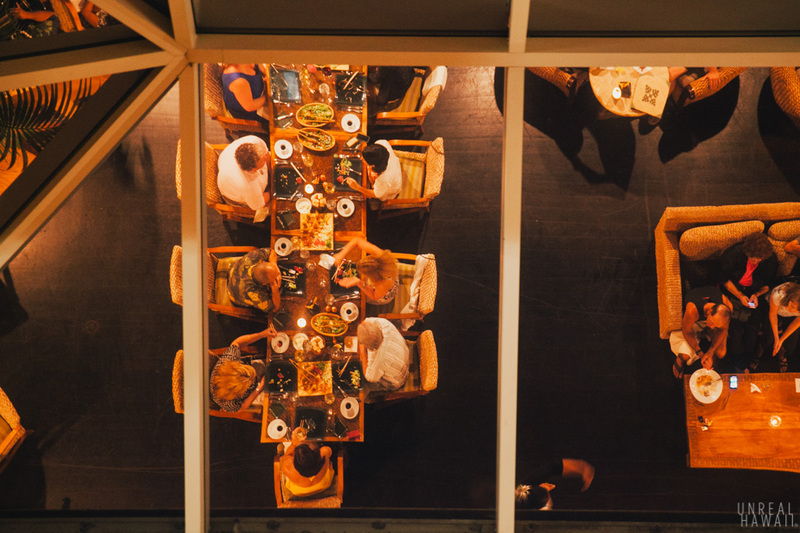 Some, like archery, pilates and yoga are free for guests. There are a few that require an extra fee. 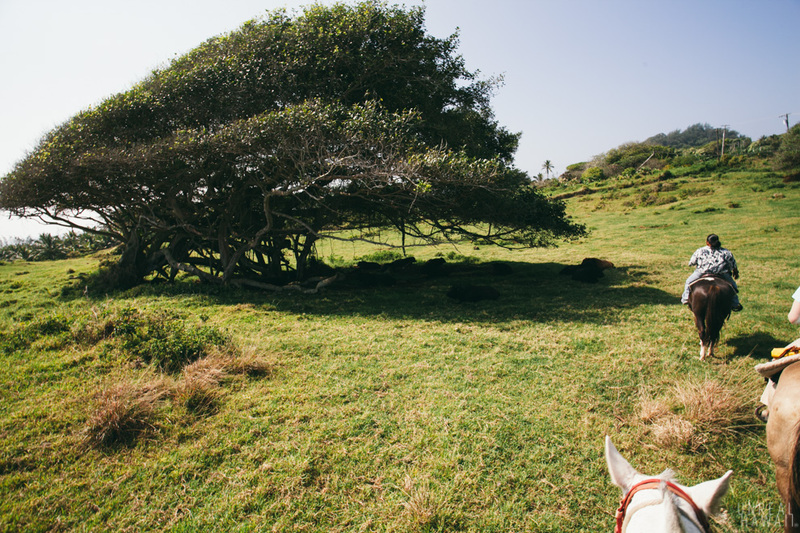 I was able to do a horseback ride along the coast. 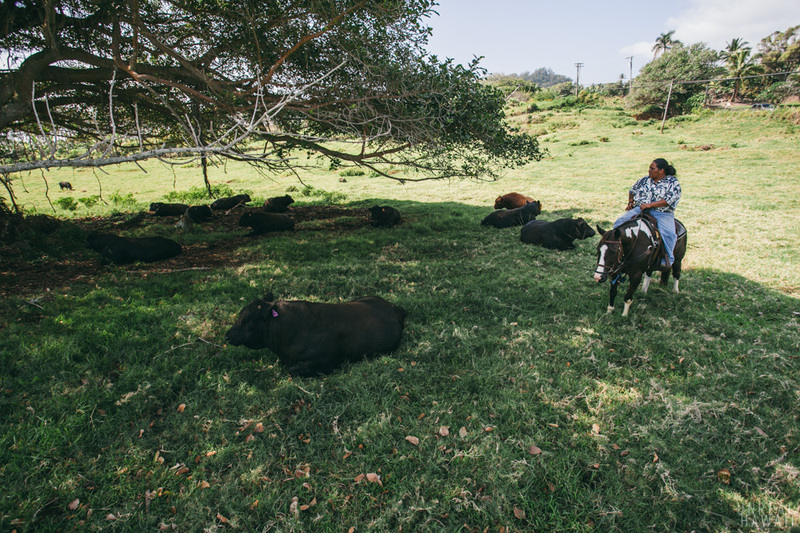 We went through Hana Ranch. We got right up close to these huge bulls. As long as you are on a horse, the bulls are friendly. 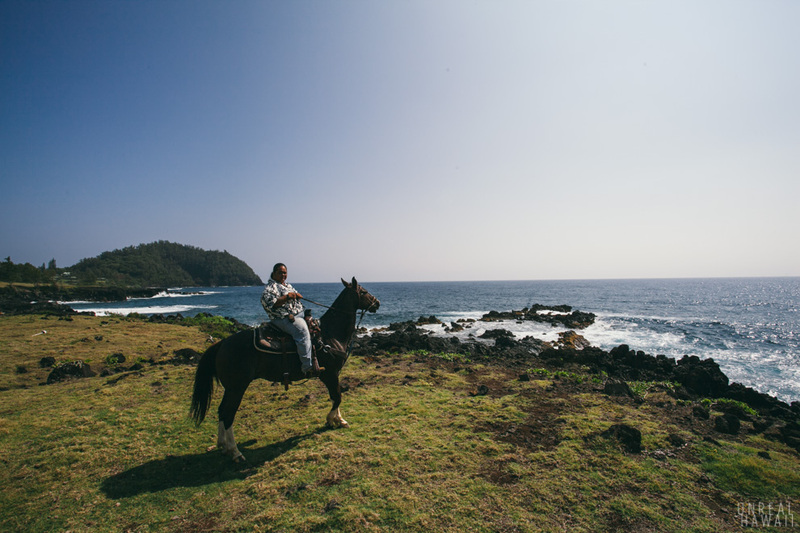 The highlight of the horseback ride was talking story with Jolynn (our guide) and learning about what it’s like to live in Hana. She had some stories to tell. 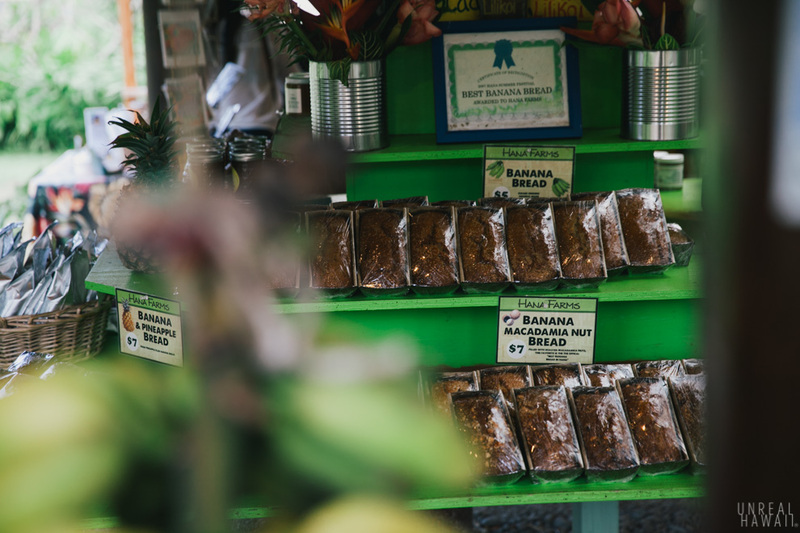 On Friday and Saturday evenings you can drive about 15 minutes up the Hana Highway to a banana bread stand. 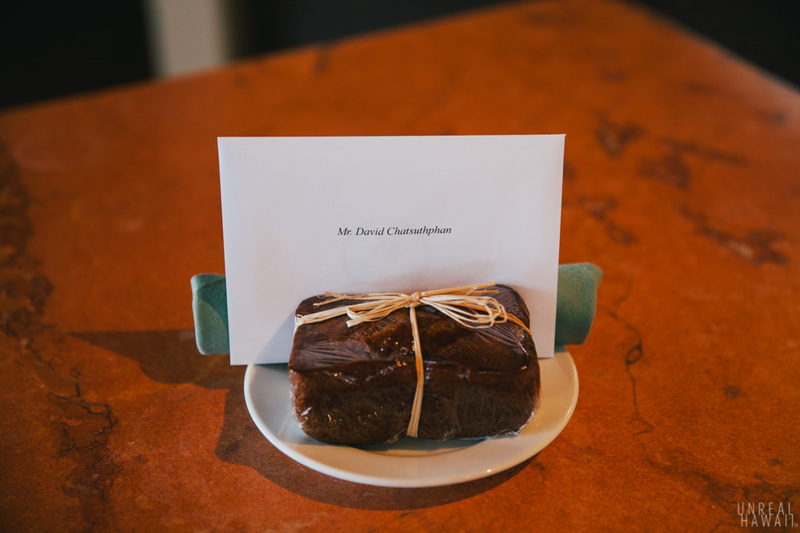 You should definitely pick up some banana bread while you’re here (try the chai one). But that’s not why we came on this evening. 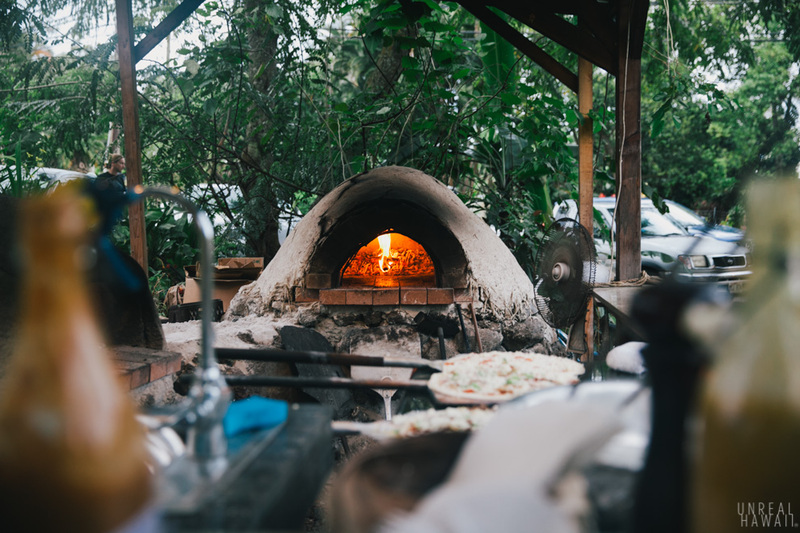 At this particular banana bread stand they’ve built a clay oven. 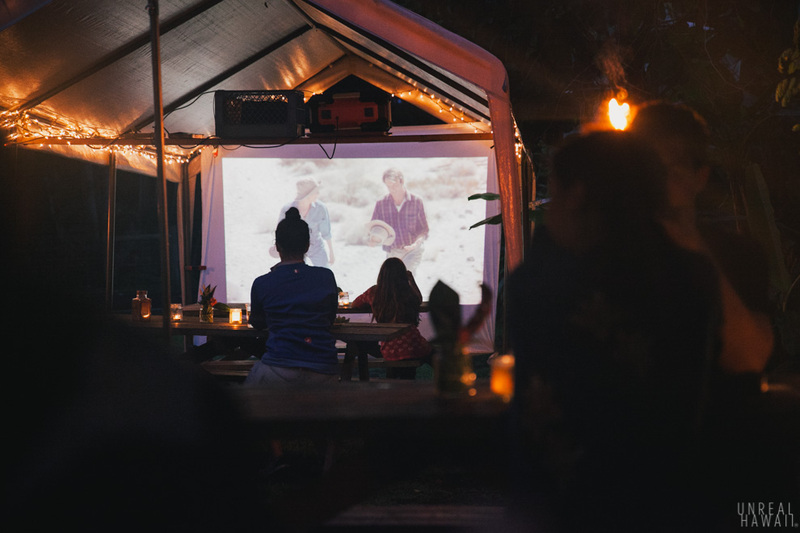 Once night falls they turn on a projector and play Jurassic Park. I like to imagine that the movie is always Jurassic Park. 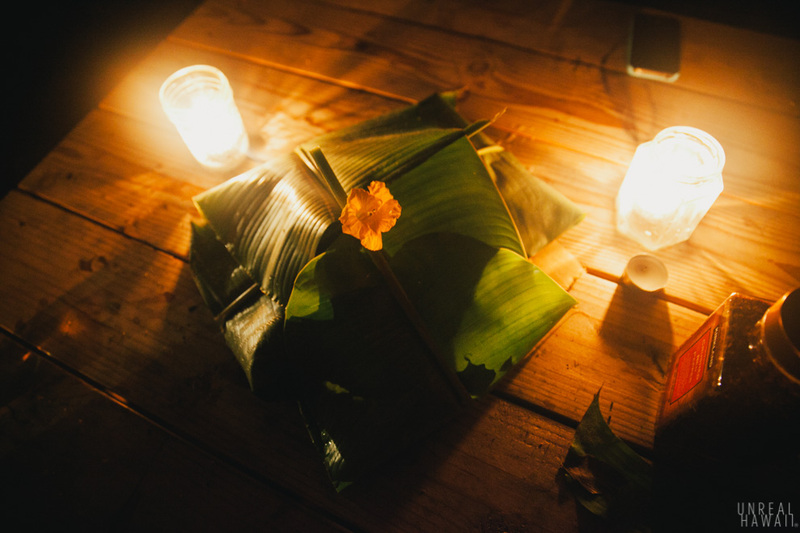 If you have leftovers they wrap it up in a banana leaf like so. After four nights in “Heavenly Hana” we left refreshed but not entirely ready to return to Honolulu. There are a couple more hikes and a couple more waterfalls I’d like to see in Hana but that will have to wait until next time. Many thanks to Travaasa Hana for the hospitality. The staff was incredibly friendly and we enjoyed our stay completely.